Massive nationalist and environmental protests erupted this week in the Iranian city of Tabriz during and after a soccer match between storied top league teams Esteghlal Tehran FC and the town’s Traktor Sazi FC, a flashpoint of Iranian Azerbaijan’s identity politics that is owned by state-run Iran Tractor Manufacturing Co. (ITMCO). 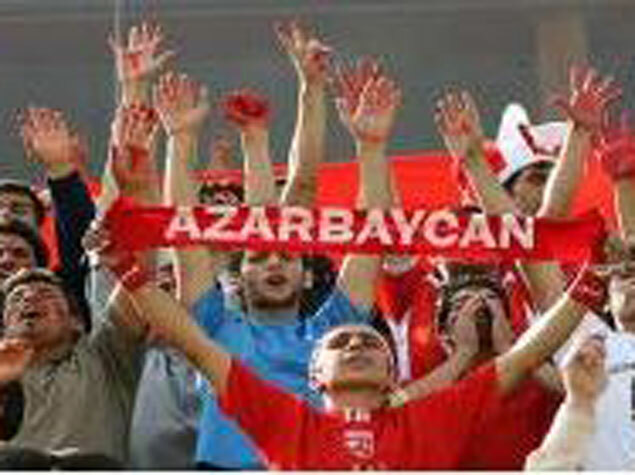 The protests demanding unification of the Iranian province of East Azerbaijan with the post-Soviet republic of Azerbaijan as well as Iranian government measures to prevent Lake Orumiyeh in the predominantly Azeri northwest of the country from drying up erupted as fans made their way to the stadium to watch the match. Security forces were out in force following the arrest last month of scores of soccer fans and environmental activists protesting a decision by the Iranian parliament not to allocate funds for the channeling of water from the Araz River to raise the level of the salt lake that lies between the Iranian provinces of East and West Azerbaijan near the border with Turkey. Parliament suggested instead that Azeris living near the lake be relocated. This week’s protest was the fourth time this year that anti-government sentiment spilled onto the soccer pitch, one of the few places that strength of numbers and moments of intense passion spark expressions of dissent. It was however the first in which Azeri nationalism fueled by perceived Iranian discrimination resurfaced. In a failed bid to prevent protests, security forces barred many Traktor Sazi fans from entering the stadium to watch the match against Esteghlal, which the Azeri team won 3:2. Fans were body searched and then had their tickets confiscated. In response, thousands of fans started shouting “Azerbaijan is united" and ““Long live united Azerbaijan with its capital in Tabriz.” Scores were injured as security forces tried to break up the protest with force. The protests, boosted by the Traktor Sazi defeat of Esteghlal, spilled out of the stadium into the city and the Sattar Khan cemetery. Cars honking their horns choked traffic as security forces arrested scores. Iranian soccer pitches are battlefields for Iranian president Mahmoud Ahmadinejad, a soccer fan who sees the game as a way to polish his tarnished image, and fans who view it as a venue to express dissent. A 2009 cable from the US embassy in Tehran disclosed by Wikileaks describes how Mr. Ahmadinejad has sought with limited success to associate himself with Iran’s national team in a bid to curry popular favor. Mr. Ahmadinejad went as far as in 2006 trying to lift the ban on women watching soccer matches in Iranian stadiums, but in an early public disagreement was overruled by Supreme Leader Ali Khamenei. The funeral in May of a famous Iranian soccer player in Tehran’s Azadi stadium turned into a mass protest against the government of Mr. Ahmadinejad. Tens of thousands reportedly attended the ceremony for Nasser Hejazi, an internationally acclaimed defender and outspoken critic of Mr. Ahmadinejad. In a rare occurrence, some 1,000 women were allowed to be present during the ceremony. Iran bans women from stadiums in accordance with its strict segregation of genders in public places. Mourners chanted “Hejazi, you spoke in the name of the people” in a reference to Mr. Hejazi’s criticism of the Iranian president’s economic policies. Mr. Hejazi took Mr. Ahmadinejad in April to task for Iran’s gaping income differences and budgetary measures which hit the poorest the hardest. The mourners also shouted "Goodbye Hejazi, today the brave are mourning" and "Mr Nasser, rise up, your people can't stand it anymore". The Football Federation of the Islamic Republic of Iran (FFIRI) postponed in February league matches in Tehran in a bid to prevent celebrations of the 32nd anniversary of the Islamic revolution from turning into anti-government protests inspired by the anti-government protests in Tunisia and Egypt that toppled presidents Zine el Abedine Ben Ali and Hosni Mubarak.